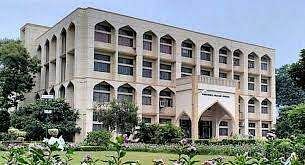 Najma Akhtar was Thursday appointed as the Vice-Chancellor of Jamia Millia Islamia for the next five years, making her the first woman to hold the charge after 99 years of its inception. Dr Akhtar is also the first lady VC of any central university in Delhi, the varsity said. Manipur Governor Najma Heptulla is the chancellor of the varsity, who also happens to be the first woman to hold the post. "In exercise of powers conferred under Statutes of Jamia Millia Islamia Act, 1988, the President of India, in his capacity as the Visitor of the JMI, has been pleased to appoint Dr Najma Akhtar, NIEPA, New Delhi as the Vice-Chancellor of Jamia Millia Islamia, New Delhi, for a period of five years," an official order said. Akhtar has four decades of academic scholarship in educational leadership. She is known for spearheading international educational administrators' course for senior officials from 130 countries for more than 15 years at National Institute of Educational Planning and Administration (NIEPA). She has established and successfully developed first state-level management institute (SIEMET) at Allahabad for developing educational administrators for the country, the varsity said. She has held the posts of Controller of Examination and Director Academic Programs at the Aligarh Muslim University. At IGNOU, she led many distance educators capacity building courses at national and international levels. A gold medallist of the Aligarh Muslim University, she has earned international accolades, including Commonwealth scholarship and the prestigious National Science Talent scholarship. She studied in international institutes such as the University of Warwick and Nottingham UK and IIEP Paris (UNESCO). She has been involved in collaborative research works with developing and developed countries. She has been actively consulted by UNESCO, UNICEF, DANIDA and other international organisations. Gender Equity has been part of most of her projects, the varsity said, "Under her able leadership, JMI may expand, prosper and provide a safe and robust environment of learning attracting the talented from all parts of the country and abroad". "The realisation of the goal of massification of Professional Higher Education and achievement of other national educational targets of GER, SDG goals and opening of new professional courses is also on the cards. Jamia Millia Islamia, under the new leadership, will strive to achieve the status of one of the World Class Universities," the varsity added. The others, who were shortlisted by the government for the post, were S M Ishtiaque of IIT-Delhi and Furqan Qamar, currently the secretary-general of Association of Universities. The varsity had been functioning without a VC after Talat Ahmad resigned from the post last year to join as the head of Kashmir University. A visitorial inquiry was also initiated against him during his tenure in connection with alleged financial and administrative irregularities, but the charges were not proved.